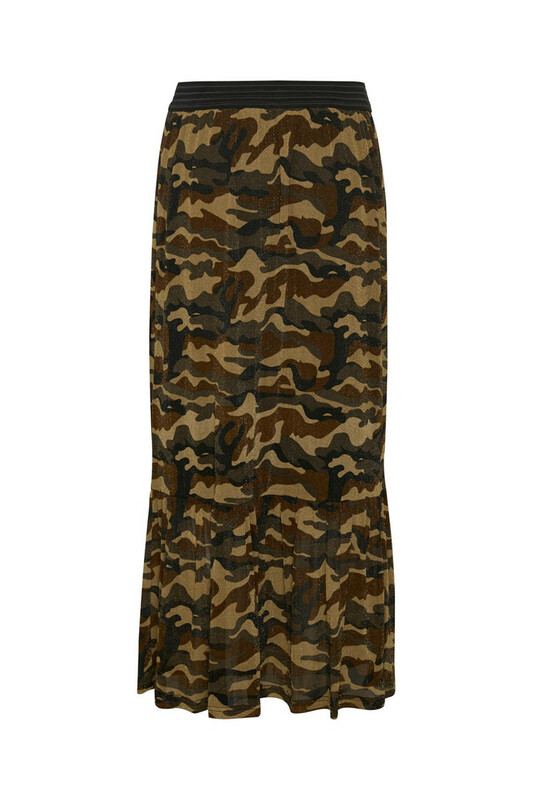 Spot-on trendy skirt with army look from KAFFE. 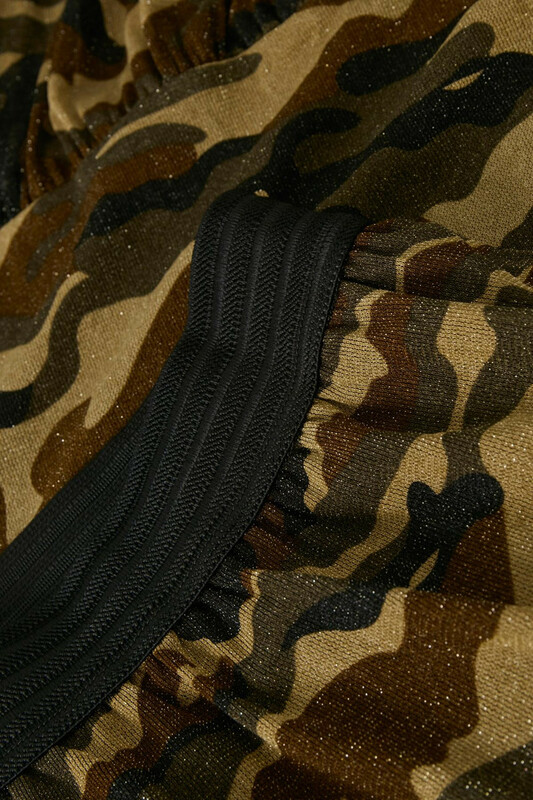 The skirt is long, has an elastic waistband and ruffles at the bottom. The nice skirt is very comfortable to wear and with a very good stretchable quality. 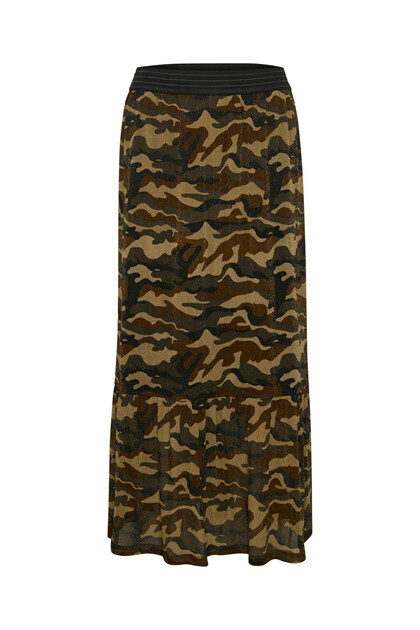 Besides, the popularity of the maxi length and camo look, it has a discreet glitter effect. It's easy to style with a nice knitted sweater for an everyday look and a nice silk top for a party look. Match it with KArena Blouse for a completely stylish look.